Turn page on old wrinkle eye to youth. A hand is turning a paper of a young, eye on a wrinkled woman's face in black and white for a youth concept. 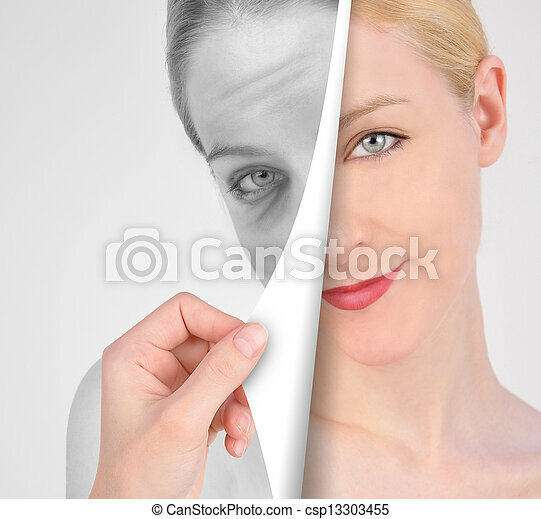 A hand is turning a paper of a young, eye on a wrinkled woman's face in black and white for a youth concept.